Seen scuttling away with her comrades yesterday morning at Beaulieu, County Louth. 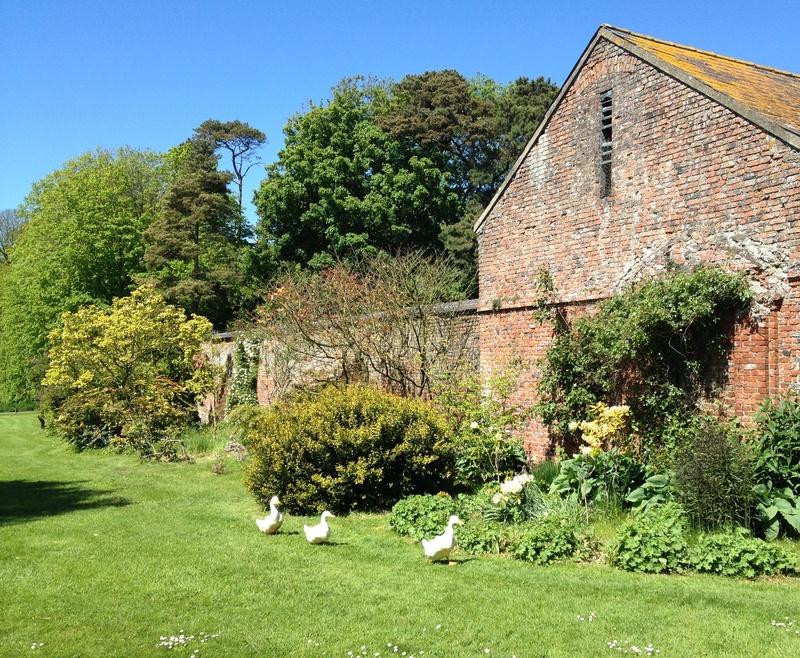 The wonderfully mellow bricks used for walls to the rear were all made on site when the house and gardens underwent extensive redevelopment in the early 18th century. This entry was posted in Architectural History, Country House, Irish Garden, Louth and tagged Architectural History, Beaulieu, County Louth, Georgian Architecture, Irish Country House, Stately Home, The Big House. This is my favorite house (near Drogheda, correct?) What is happening to it? Yes, as ever you are right. The next generation has assumed responsibility. Greetings from Glin…. The bricks made of local earth are treasures beyond!!! And I love the ducks!